Marvel Select has been cranking out some great figures lately, and the two most recent releases are amongst the best in the line, and also the heaviest! The Thing is the first member of the Fantastic Four to get the Marvel Select treatment, and he's been done proud here. His rocky skin is well done in texture and colour - great fun! I do find the head a bit small - The Thing has certainly been portrayed in many proportions over the years, but I would alter this slightly to make the head a tad bigger and the fists a tad smaller. Not much though - he's nearly perfect. One odd thing is that Mr Grimm doesn't come with the pictured personal hovercraft accessory, but instead with a really bizarre and pointless sign / landscape thing. Really, an amazing figure like this doesn't need a pack-in to make it worthwhile - it's amazing enough on it's own! 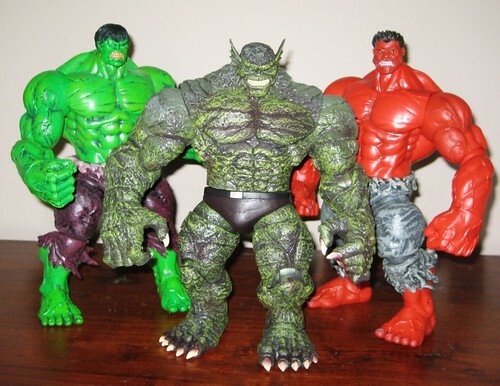 The Hulk family now has another Marvel Select member courtesy of Abomination. If I thought The Thing was heavy, this is mammoth - five pounds! So heavy in fact that there are special supports required to keep the pack together, which could bother MOC collectors. I'm an opener, however, and this figure is really an amazing piece - the fantastic headsculpt, detailed skin and amazing claws on his hands and feet. The level of articulation for figures this size is really quite impressive, and that's one thing I really like about the larger figures in the MS line as opposed to the regular size. The ball jointed hips of the regular male figures are the biggest downfall of the line for me. These are present in some of the larger figures but the scale thankfully makes them less of an issue. The oversized figures are the real gems of the Marvel Select line, and I much prefer them to the smaller figures with a base, unless it's something really meaningful like the gate to Xavier's or Dr Doom's throne. It really is great to see Diamond increasing the output of the line, and joining threads together like the Hulk and X-Men families. After all, while these figures are amazing on their own, it's when you get them together - particularly the Hulk crowd - that they really come alive! 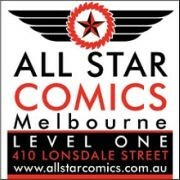 It's also great to see the line picking up some heat on the interwebs - with people discussing wish lists and wanting more. My friends at Critical Mess recently did a poll on most wanted Marvel Select figures, which you can see here. The very deserving (tied) winners were Captain America (Steve Rogers) and Nova, both of which would be great additions to this line. Bring them on, I say! You can see more pics at Facebook, discuss this at the AFB Forum, and comment on this to enter the AFB September Comment of the Month Contest! I'm still not sold on the Select line (except for the truly huge guys like Hulk , Thing, etc) because I've been spoilt by the uber poseable Legends line. The Abomination looks pretty good, but yeah...not a big fan of that Thing figure. It kind of reminds me of Michelin Tire Man for some reason. Abomination looks to be covered with a fair amount of lichen. And Thing's head is tiny. Like cute tiny. It's like he's reverse-manga or something. They've spared no expense with the Abomination and he looks great. I'm not sure why the Thing gets bigger and bigger. Originally he was 5'10" tall. Now he's 17' tall. WTF? Actually just saw the Abomination at Newbury Comics yesterday and was blown away by the size of that figure. He's terrifyingly massive. Wow, these big guys are perfect for Marvel Select to be doing. I saw the Abomination at my local store recently. He's soooooo beefy. Really impressive. Kinda disappointed about the lack of Hoverthingy for the Thing. mostly cause what he does come with is garbage. Need to really see it in person first though. I am quite tempted either way. I would love to see a Nova in Marvel Select. No matter how many time I see this figure, I can't help but be impressed by it. It now has a special place on my display shelf. 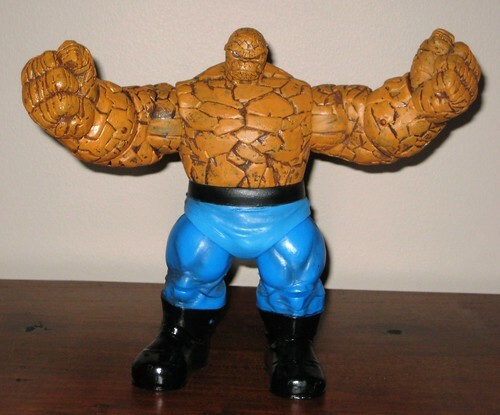 Not really a fan of the Thing sculpt though. With all the other MS figures looking relatively "realistic", it's weird they chose to go cartoony with him. The thing , the Hulk with different faces just awesome.